Avivie team unites the best experts from around the world. In strive to create a tight-knit team which could jointly make brilliant products, we offer equipped laboratories with modern facilities that allows making the accurate analysis and carry out all the research on a higher level. We use own raw materials, created by the experts in Avivie laboratory. Due to that, Avivie products are unique and exclusive. The formulas and protocols, which know no equals, are the intellectual property of our Company. The serum contained the Dead Sea minerals and natural oils contribute to the quick skin renewal. The serum is effective due to the molecular dimension of peptides that penetrate with other components deep into the delicate layers of the skin around the eyes and have the best effect. The application of the serum over the required period will smooth your skin and expression lines. Water (Aqua), Cetearyl Alcohol, Cetearyl Glucoside, Mineral Oil, Glycerin, Propylene Glycol, Hesperedin Methil Chalcone, Steareth-20, Dipeptide 2, Palmitol Tetrapeptide-7, Rosa Canina (Rose Hips) Fruit Oil, Simmondsia Chinensis (Jojoba) Seed Oil, Tocopheryl Acetate, Isopropyl Myristate, Phenoxyethanol, Ethylhexylglycerin, Citrus Aurantium Dulcis (Orange) Fruit, Sea Salt (Maris Sal/Dead Sea Salt), Lanolin, Fragrance (Rose). The unique formula provides gentle cleansing, nutrition and skin regeneration at the cellular level. The cream components stimulate the production of collagen that improves facial skin viscoelasticity. Regular use of Avivie cream improves the skin tonicity. The molecular compound based on sesame makes the skin visibly smooth immediately. Moisturizing effect lasts 4 hours after application. Avivie Face Cream gives visible results, giving your skin softness and feeling of comfort. Water (Aqua), Isopropyl Myristate, Magnesium Aluminum Silicate, Glycerin, Acrylates Copolymer , Vp/Polycarbamyl Polyglycol Ester, Hydrolyzed Sesame Protein Pg-Propyl Methyls, Cetyl Alcohol, Mineral Oil, Glyceryl Stearate, Dimethicone, Phenoxyethanol, Ethylhexylglycerin, Argania Spinosa Kernel Oil, Macadamia Ternifolia Seed Oil, Anthemis Nobilis (Chamomile ) Flower Extract, Tocopheryl Acetate, Sea Salt (Maris Sal/Dead Sea Salt), Butyrospermum Parkii (Shea Butter), Triethanolamine, Cetearyl Alcohol, Aroma, Disodium Edta. Then apply the cream on lines for a massage from the bottom upward the temples. Also, apply the cream on the decollete area. Both creams are accepted and are suitable for day and night skin care. This Complex is recommended for people aged 25 and over, suitable for aging and dry skin. Cautions:In the case of contact with eyes, rinse immediately with plenty of water. Do not apply to open wounds. Keep away from children and sunlight. Avivie Gift Kit complex is not a medicine. Intensive Lifting Mask synthesizes protein at the cellular level and further stimulates the production of collagen. It contains hyaluronic acid, fucoidan, and elastin that firms and smoothes wrinkles immediately. The effect of the mask is attended with a narrowing of pores and reduction of pigment spots. It contains argan seed oil that reduces skin aging process and gives your skin a healthy look. All these ingredients have a strong isometric contraction on face muscle, thereby making the skin more elastic, restoring muscle memory. 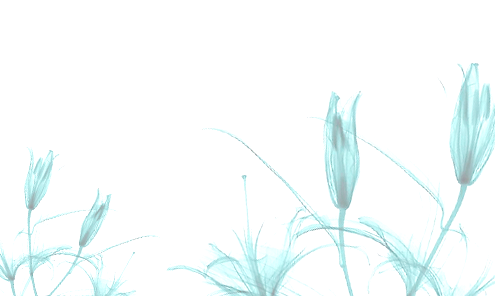 Continuously using of cosmetics rejuvenating effect becomes cumulative. Mask removes the deep wrinkles and apparent skin defects. A feature of the mask is a medical effect that strengthens the vascular walls and capillaries, thereby preventing the appearance of Rosacea. Water (Aqua), Magnesium Aluminum Silicate, Polyvinylpyrrolidone, Sodium Silicate, Aloe Barbadensis Leaf Juice, Retinyl Palmitate, Anthemis Nobilis (Chamomile) Flower Extract, Laminaria Digitata Extract, Tocopheryl Acetate, Cucumis Sativus (Cucumber Fruit Extract), Sea Salt (Maris Sal/Dead Sea Salt), Xanthan Gum, Ethylhexylglycerin, Phenoxyethanol, Fragrance, Citric Acid, Alpha-Isomethyl Ionone, Benzyl Salicylate, Butylphenyl Methylpropional, Hexyl Cinnamal, Linalool. Apply a little of a product to your problem areas by intense tapping motions after the cleansing of the face, and leave it dry (approx. 4-5 min). During this five minutes keep your facial muscles relaxed. After it has dried wash up the mask with warm water and after that, you can apply makeup. We don’t recommend to use it more than two-three times per week, depending on your skin condition. Cautions: discontinue use if irritation occurs. In the case of contact with eyes, rinse immediately with plenty of water. Keep away from children and sunlight. It is not a medicine. Mineral Peeling Gel — A gentle gel that brightens, refreshes, and tones up the skin. It contains an innovative group of ingredients to improve the skin tone and structure. Due to the fruit aminoacids narrow down pores. Minerals and the Dead Sea salts cleanse the skin deeply. Gel excludes technique of controlled lesion of the skin due to a combination of lactic acid and ferments. These all contribute to a favorable removal of dead skin cells, excess fat, and clogged pores to get the radiant and healthy complexion. All these processes allow the skin absorbs the components fast into the deeper layers and feeds it with the vitamin complex. Among the active ingredients, the placenta extract is unique and beloved by Avivie pharmacists. Vitamin cocktail consists of vitamins B, D, E and F. Use this gel twice a week you can quickly activate the processes of recovery and regeneration. Water (Aqua), Propylene Glycol, Acrylates/C 10-30 Alkyl Acrylate Crosspolymer, Aloe Barbadensis Leaf Juice, Hamamelis Virginiana (Whitchazel) Extract, Cucumis Sativus (Cucumber) Fruit Extract, Retinyl Palmitate, Tocopheryl Acetate, Sodium Hyaluronate, Vaccinium Myrtillus (Bilberry) Extract, Saccharum Officianarum (Sugar Cane) Extract, Citrus Aurantium Dulcis (Orange) Fruit Extract, Citrus Medica Limonum (Lemon) Fruit Extract, Acer Saccharum (Sugar Maple) Sap Extract, Acacia Gum, Peg-40 Hydrogenated Castor Oil, Cellulose Gum, Allantoin, Polyvinyl Alcohol, Mannitol, Cellulose, Hydroxypropyl Methylcellulose, Phenoxyethanol, Ethylhexylglycerin, Sea Salt (Maris Sal/Dead Sea Salt), Fragrance, Alpha Iso Methyl Ionone, Benzyl Salicylate, Butylphenyl Methypropional, Limonene. We recommend you to use the peeling gel not more than once a week. You need to apply the gel to clean and dry skin with a thin layer, avoiding the eye area. Apply it in a circular motion until the effect of peeling, and then rinse with warm water. Cautions: Only for external use. In the case of contact with eyes, rinse immediately with plenty of water. Keep away from children and sunlight. Peeling Gel is not a medicine. Micellar Cleansing Water is the universal means for taking off make-up. The micelles are tiny particles that gently remove makeup and dirt from the skin. You do not need much water for cleansing, it is enough to wipe the face with a cotton wool pad moistened with micellar water, and then wash your face with flowing water. Lotion refreshes your complexion; fit for an oily and sensitive skin. You can apply it morning and evening to the face and decollete area. Moisten a cotton wool pad with a little of the micellar water and wipe the face till the feeling of the cleanliness. Micellar water doesn’t require additional washing, but if there are unusual sensations, you can rinse under cool running water or with Soft Facial Wash. Cautions: only for external use. In the case of contact with eyes, rinse immediately with plenty of water. Keep away from children and sunlight. It is not a medicine. It acts at the cellular level, allowing it to regenerate top layers of the epidermis. The innovative formula containing fucoidan discovered in 2016 is highly competitive with the regenerating properties of peptides. Cream allows getting rid puffiness, bags under eyes, and wrinkles under your eyes. Its effect starts in few minutes after application. The cream designed to supply the skin with required quantity of elastin and beta-carotene. It is recommended to apply it in the morning. Anti Puffiness Eye Cream fairly merited the title of «non-surgical removal of the bags, puffiness, and wrinkles under the eyes.» A distinguishing feature of the cream is that its components have a cumulative effect by continuous use. The Dead Sea salt is the best preserving agent for saving this product for a long time without any loss of its unique properties. Also, the cream is a good basis for make-up. You need to apply a little bit of cream to clean and dry skin with a thin layer under the eyes. It is important to apply a thin layer evenly in a circular motion. Wait for 3 minutes after application, until full absorption and you can apply makeup. Cautions: only for external use. In the case of contact with eyes, rinse immediately with plenty of water. Keep away from children and sunlight. The cream is not a medicine. Pharmacists of Avivie are setting the pattern in the cosmetics industry for the production of effective rejuvenation means — It is truly an art. Avivie Gift Kit: anti-aging face cream and eye serum are used for fixation of a visible effect of rejuvenation after the first month of use. 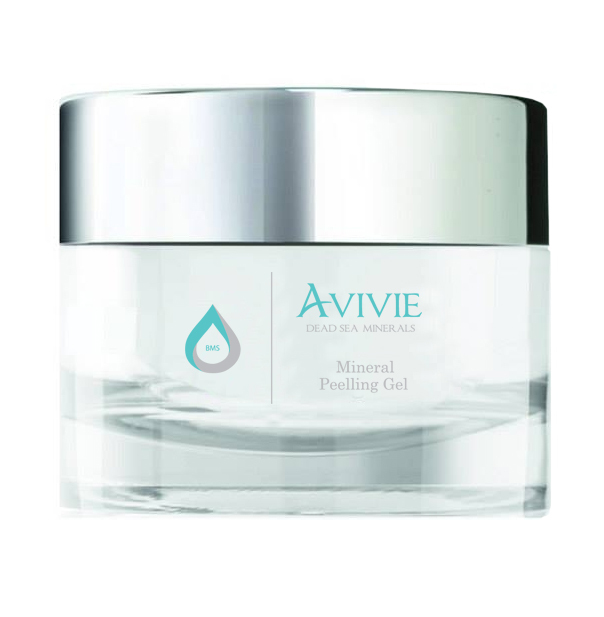 Avivie Mineral Peeling Gel: gel nourishes, cleanses, tones up, and moisturizes the skin. Avivie Micellar Water: micellar water can easily take off make-up, gently cleanse and soothe the skin. 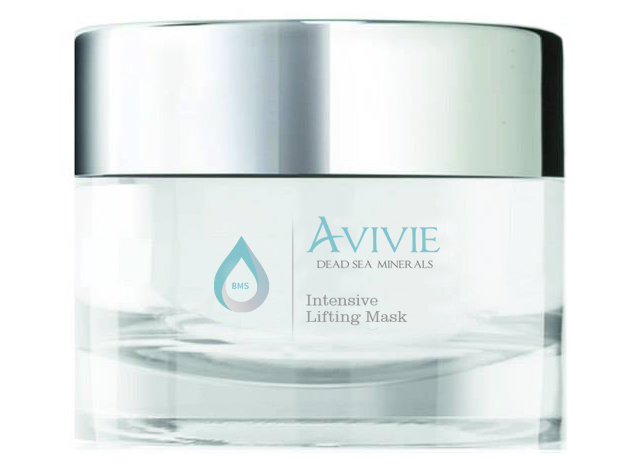 Avivie Intensive Lifting Mask: intensive mask — a real wonder solution for many due to an immediate face lifting. 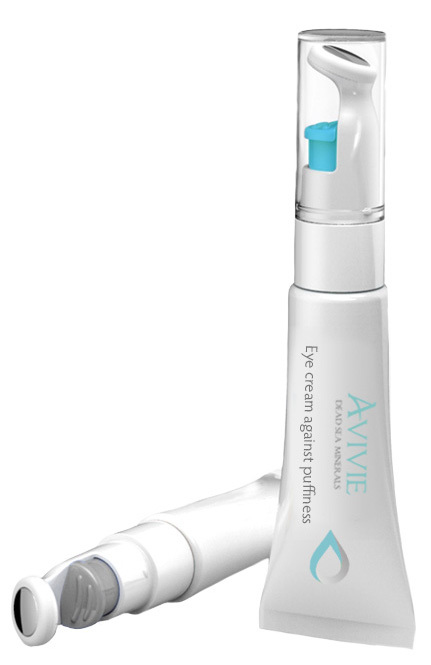 Avivie Anti Puffiness Eye Cream: you can forget about the tired appearance; puffiness or bags under eyes disappear in 2 minutes. Do you want to feel a real anti-aging cocktail on your skin every day? Instead of hundreds of cosmetics jars and expensive visits to the beautician, you get unforgettable days of kind treatment at home. Program Bio Molecular System — is a gentle care of facial skin and décolleté area. Cosmetics for various skin types. We know that skin appearance depends on the climate of person’s habitat, sunlight absorbed by the skin, and air humidity. For example, If you live near the ocean or in a polluted megalopolis. We all know that a healthy lifestyle is not enough today. Mainly, the skin structure, color and thickness of the skin cover depend on the birthplace. These factors have become fundamental in the conception of the creation of BMS line. Israeli Avivie Company concentrated on international business, so produces cosmetics for all skin types. Obviously, that in some countries air humidity level is high and lack of the sunlight and accordingly vitamin E that, and vice versa. It gives side effects. Using creams containing the active element that not fit for the skin type can cause an allergic reaction. Consequently, the choice of your personal cream should base not only on the reviews but also on the detailed study of the structure. You can learn more about each means for skin care separately by clicking on the photo above. Avivie BMS total care is appropriate for various climate conditions, this complex of means gained high popularity mainly in zones of hard climate, where the skin requires constant care and protection against external irritants such as the wind, humidity, sunlight, drying out and frost. Why do we need a total care? It is important to understand that one means consisting of all useful elements is not enough. Furthermore, to create the product that gives solutions for all the problematic skin areas is impossible. That is why cosmetologists had the task not only to reduce the number of positions to make room in your purse but also to make the total skin care the most efficient. You have prepared an important business meeting, but the previous day was exhausting, or due to a long flight, you look tired? Innovative products will be invaluable for you. We designed these cosmetics to eliminate all visible defects of the skin for a few minutes. A few minutes after application of the Anti Puffiness Eye Cream, you can forget about the eye bags, crow’s feet and under-eye circles. Due to Intensive Lifting Mask, you can instantly get rid of wrinkles all over the face, around the lips, cheeks, and décolleté area. In fact, both cream and mask have remarkable results in 96% of cases for all types of skin. The complex has a favorable effect on the rough skin of men as well as women delicate skin. Thanks to these features for a short time, these two products became necessary for a problem and rough skin. Japan and America, and it is not a full list of countries where these cosmetic products increase popularity thanks to instant effect. It is interesting to note that these two medications have a fast effect on the skin surface that continuous within 12 hours. How you can to prolong the anti-aging effect for a long time. We produced Avivie Micellar Water tonic, which will clean the skin before going to bed to give a rest your skin from the Anti Puffiness Eye Cream and Intensive Lifting Mask. You can nail down the prolonging effect of all products by using the anti-aging serum and anti-aging face cream. How this complex keeps the skin young and healthy, you will learn below. Do you want to unveil the secret of skin rejuvenation in 90 days and find out what will save the result after completing the course? Bio Molecular System program in 90 days helps to maintain the natural beauty and youth by preventing premature aging of skin. Using the full course starts the process of deep cleansing. Renewal Biocare (biological cleansing) encourages the growth of new cells, removing dead cells and toxins from the skin. Peeling at any stage is a normal reaction of the body, the intensity of which depends on the skin type. This is one of the indicators of the beginning the fight against premature ageing. All the creams have been tested by dermatologists and are suitable for all skin types. Avivie company products do not contain parabens and are not tested on animals. 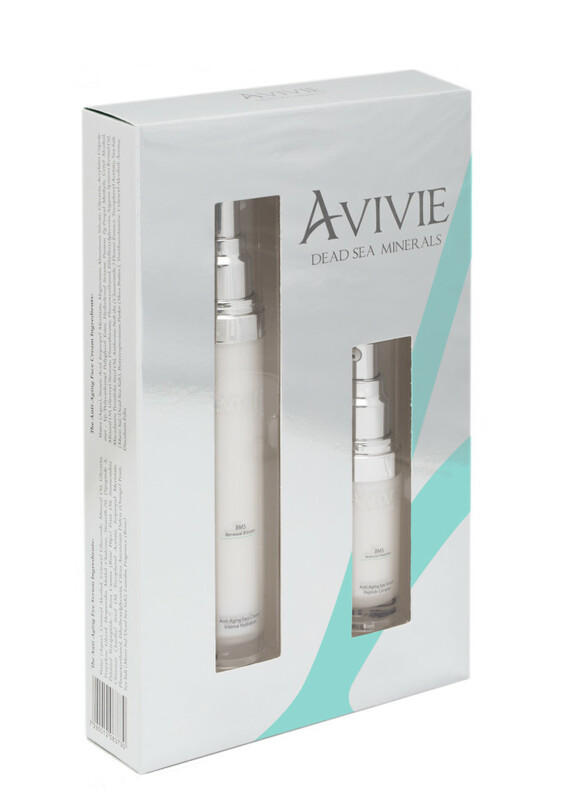 Avivie eye serum contains a balanced Peptide Complex, which is a unique development in nanotechnology. Even after the first application of the serum the processes of skin cell rejuvenation and regeneration begin at microscale level of. Under the influence of nano-particles the contact area of beneficial microelements expands and the compression of the skin increases. On the 30th day of serum application wrinkles around the eyes will become less visible. Due to the Intense Hydration system (intensive moisturising) facial skin becomes enriched with beneficial micro-elements and minerals from the Dead Sea. The skin cells start to produce their own collagen, thus struggling with deeper wrinkles. The ingredients of this face- cream include argan oil and macadamia seed oil which make the skin cells function actively. On the 60th day of cream application the facial contour improves and the skin becomes smoother. Avivie Creams are unique in their composition. None of the ingredients is addictive. With the regular total care course within 90 days, the skin cells become enriched with the microelements they need thus not only regenerating the skin, but also ensuring the results for several years. The cream creates natural Molecular Protection, that ensures skin protection from environmental exposure such as sun, wind, frost and dust. Natural beauty and health of the skin – this is what is actually fashionable. BMS program became a top seller in 2015. Realizing that cosmetics and almost all popular products do not give real result (they only conceal defects for a short time), has made ladies set out in search of high-quality products. And they have found it! Avivie cosmetics has produced a stunning effect on women. The prospect of the creation of a product that will give visible results and help millions of women achieve the desired effect has made Avivie pharmacists stop all other research and put all the efforts to establish a BMS program. All attention and work of the world scientists in the field of molecular chemistry, biology and cosmetology are focused on BMS development and enhancement of this cosmetics line. In fact, the company has refused product expansion and excess profits in order to improve continuously in one direction. Want to see how this cosmetics works? Go to the next page.